If you have been convicted of a so called "wet reckless" or a dui you may be eligible to have that matter expunged from your record. In practicing criminal law for more 15 years I know because we have done this for clients many times in the past. Getting a dui or wet reckless can be a emberrassing and life altering thing for most people. It can and does happen to people from all walks of life. The consequences have never bee more severe or strict than they are now. However, you need not face these consequences for the remainder of your life you can and should get the expungement process going to help you get your life back and not have to face some of the consequences, of this conviction forever. HOW DOES MY RECORD CHANGE AFTER THE EXPUNGEMENT? All criminal databases used for employment background checks, both publice and private, will update automatically within 30 days after your DUI expungement is complete. The process is that the Judge will send an order for an expungement to the California Department of Justice and then the Department of Justice will do an update on your ciminal history. WHAT ARE THE CRITERIA FOR A DUI OR "WET" RECKLESS EXPUNGEMENT IN CALIFORNIA? 1. You have successfully completed probation (inormal or formal) or if you were not gien probation one year must pass since your conviction date. If still on probation check our our early termination of probation service early termination of probation expungement blog to be exact. 2. You must have satisfied all requirements of your sentence (fines, restititution, mandatory programs, community service, classes, etc ). 3. You are not currently charged with another criminal offense, on probation, for another criminal offense, or serving a sentence for another criminal offense. One thing I would like to straighten out right now in this blog which I think is a misconception is that your DUI conviction does not automatically go away after a 10 year period. This is a common misconception. After a 10 year period if you did not re-offend your dui would be treated as a first offense. However, this does not mean the original DUI somehow went away. The DMV will not count the DUI as points on your record after a period of 10 years. Most employers look at your criminal record not your dui record for most cases. This is not always the case where you must drive for your job and so forth. expunging the DUI from your record will not change your DMV printout, or DMV record. The DUI will remain on your DMV record for a period of 10 years regardless of whether the matter was expunged or not. Also, and expunged DUI will still count on your record as a prior DUI for a period of 10 years. WHAT ARE THE BENEFITS OF A "WET" RECKLESS AND DUI EXPUNGEMENT? 1. Your past DUI or "wet reckless conviction will not show up on employer background checks. 2. In almost all casses private employers cannot ask about convictions that were dismisssed under Penal Code section 1203.4 nor can a conviction that was dismissed be considered for employment purposes. 3. You can truthfully and legally answer no on job applications when asked fi you have ever been convicted of a crime. 4. You can greatly increase your earning capacity by becoming eligible for more employment oppurtunities. 5. You can become eligible for many types of professional licenses and certificates. 6. You can become eligible for better student loans. 8. You can tell friends and family that you have not been convicted of the DUI or Wet reckless. 9. You have the satisfaction of forgetting the past for good and moving forward into a more positive future. If you have any further questions give us a call at 559 441-1418. If you have any questions after reading this article you should give us a call so we can go over some of your rights with you. ARE INFRACTIONS ELIGIBLE FOR EXPUNGEMENT? Traditionally infractions were not eligible for expungements in California under Penal Code 1203.4 however, there has been some changes to this law in 2011 which made some infractions eligible for expungement. DO INFRACTIONS SHOW UP ON CRIMINAL BACKGROUND INVESTIGATION? Infractions are not considered criminal convictions and are akin to traffic violations. In fact they are less serious than misdemeanor or Felony convictions. They do however, show up on criminal background investigations. Employers can still find infractions on your record sometimes as easily as looking into local criminal background databases. Call our office and we can help you get this matter expunged and updated in about 30 days. Criminal databases are suposed to be updated every thirty days after having a signed order from a Judge updating and expunging the matter. After the Judge signs the order it is ordered to be sent to the Calfornia Department of Justice for an update. The usual process is an investigation of your prior record with a close eye on all possible infraction cases that are on your record. We then file a noticed motion and set a court date. Then the Judge will make a decision on your case sign the order and then the order is sent to the department of justice for an update of your criminal history. WHAT ARE SOME OF THE INFRACTIONS THAT CAN BE EXPUNGED? Like stated earlier although these offenses are not as serious as a felony or misdemeanor they may leave an ugly mark on your record. Also, you may have moved on from this behavior a 1203.4 petition will set aside the guilty plea, or no contest plea, or factual finding of guilt, and set aside the conviction. More importantly your criminal record will be permanently modified to show a dismissal rather than a infraction or a conviction. Once the infraction is successfully expunged by the court you can truthfully tell employers, your family, and all other people that you have not been previously been convicted of a crime. 2. You are not currently charged with another criminal offense, on probation, for another criminal offense, or serving a sentence for another criminal offense. 3. The infraction cannot be a vehicular infraction. The entire process may take several weeks because you must get a court date and then have the matter heard and then the offense has to be updated on your record. Sometimes it can take several weeks to get the matter placed on calendar depending on the county and how long those matters take to get on calendar. 1. In almost all cases private employers cannot ask about convictions that were dismissed under Penal Code section 1203.4 nor can a conviction that was dismissed be considered for employment purposes. 2. Your expunged infraction conviction will not show up on most employer background checks. 3. You can truthfully and legall answer no on private sector job applications when asked if you have ever been convicted of a crime. 5. You can tell friends and family that you have not been convicted of a crime. 6. You have the satisfaction of forgetting the past for good and moving forward into a more positive future. If you have any question give us a call 559 441-1418. The crime of Manslaughter is usually part of a Homicide case. If you or a loved one has been accused of Homicide give us a call. You definitely need experienced Homicide representation. As someone that has tried more than 10 Homicide cases to verdict and handled close to thirty other Homicides many of which ended up in the Manslaughter range we know how to represent you in this type of case. If there has been a unlawful homicide without proof beyond a reasonable doubt of malice aforethought. it can even be if a person acting with a conscious disregard for life and kwowing the conduct endangers the life of another, unintentionally, but unlawfully kills another in a sudden quarrel or in the heat of passion. Voluntary Manslaughter can result from an "implied intent" homicide. In other words you can be held liable for Manslaugther even if you did not intend to kill somoene as long as there was an act done with that was inherently dangerous to human life and with conscious disregard and unreasonable self defense then the crime would be manslaughter rather than involuntary manslaugter for example. WHAT IS UNREASONABLE SELF DEFENSE? Any time a person acts with an honest but unreasonable belief in the need to use deadly force, then the defense then the defense can argue that the crime committed was volunary manslaugther, based upon the fact that person acted with an honest but unreasonable belief in the need to use deadly force and therefore, lacked the requisite mental state i.e. malice for murder. Note that this defense if different from stating that the person acted in a sudden/qurrel or heat of passion. under this theory the person that committed the crime is said to be less morally culpable based on the fact he acted under passion rather than rational decision. Generally, if a person killed under provocation so great as to produce that response in a reaonable person, there is no malice of forethought and the crime is manslaughter. This is again a generally speaking. If you are charged with Murder or someone you know has been charged you should contact a homicide defense attorney that is experienced in these types of defenses. the main two basis for voluntary manslaughter are heat of passion and imperfect self defense these are not elements of voluntary manslaugther rather they are ways in which malice either express or implied may be negated. If you hav further questions a confidential case evaluation should take place for your case. Every case is different and there are many different scenerios which must be explored and the facts of your individual case must be evelauated. Here, these are the general ideas for your case and not meant to be case specific. If you have been convicted of domestic violence you may still be eligible for an expungement. Under Penal Code 1203.4 you may petition the court to expunge your misdemeanor conviction for coroporal domestic violence. It is always desirable to seek an expungement since your conviction wil not appear on a public database. ( it wil appear on law enforcement databases) should anyone conduct a criminal background check, including landlords or private employers. An expungement, however, does not result in complet eradication of your conviction record. It remains accessible to persons considering you for public employment ie. law enforcement or peace officer positions, and court personel, for sentencing purposes, if you take the stand in your own defense an expunged crime may but not certainly may be used against you. and can be used as a sentence enhancement for a subsequent felony offense. Another major benefit of obtaining an expungement is that it enables you to state on any application or rental application even under oath, that you were never convicted of a crime. Unlike a Felony, you do not have to disclose your conviction, along with the fact that it was expunged if you apply to run for public office. If you were convicted of a misdemeanor under 273.5 or a Felony for which you served no state prision time, you qualify for an expungement of the conviction. You may petition the court once you satisfy these conditions. you did not violate your probation. a probation violation does not necessarily render your conviction ineligible so long as you did not commit a serious misdemeanor or a felony offense. A court will review your overal criminal record and your need for an expungement order. If you have been charged with domestic violence in Fresno County or anywhere else give me a call. As an Attorney with more than 14 years of experience helping people in domestic violence cases I have the experience to help you through this. In an earlier blog I described the difference between Felony and Misdemeanor domestic violence. and I will discuss her generally the elements of Domestic Violence that the prosecutor will have to prove in order to find you guilty of this crime. fiance or previously had a dating relationship. the mother or father of his or her child. coroporeal injury resulted in a traumatic condition. For example you may have intended to strike your spouse or dating partner but not necessarily to cause the person to suffer an unintended injury. Regardless, it is your direct physical act that was the cause of the or a substantial cause of the traumatic condition. suffered by your spouse. or dating partner. If you pushed your intimate partner down and the the person fell and broke his or her arm or even ankle. your act was substantial factor that led to the injury. It may not have been your intention to break the persons arm. or to suffer a sprained ankle, but your act of pushing them is a substantial factor in them suffering the injury. If you have been arrested or charged with Misdemeanor domestic violence you need to get an experienced Attorney that has helped poeple in the local Fresno court system. 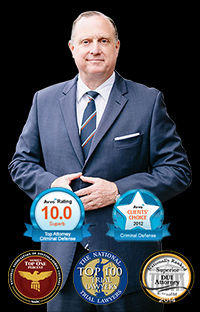 As a Criminal Defense Attorney with more than 14 years of experience I can help you get through this difficult legal system. There is a big difference in how you will be punished by the system if you take a plea deal or are convicted of domestic violence after a trial. One of the biggest differences is the difference between Misdemeanor and Felony Domestic Violence. Domestic Violence under PC 273.5 is a wobbler offense. Allowing the DA discretion to charge as either a Felony or a Misdemeanor. This allows the court discretion to reduce a Felony to a Misdemeanor even over the objection of the prosecution usually after a preliminary hearing or probable cause hearing. Whether you are charged with a misdemeanor or a Felony will depend on the nature or seriousness of the truamatic condition and/or your criminal history. Fine: up to 6, 000 usually much lower than this. Probation: Summary probation however, because it is domestic violence your probaiton will be supervised unlike many other misdemeanors. Jail time. although at least in Fresno many times depending of course on the particulars of your circumstances you will have in custody time. Community service will usually be ordered. And you are facing up to one year in jail if you do not abide by these terms. and there will be a restraining order in affect for 10 years you will be served in court. Also, you can get this restraining order lifted if you are doing well. The court will determine how well you are doing based upon your reviews which are set at 3 month increments. If you are doing well then sometimes the restraining order can be lifted early. Formal probation officer with search and seizure terms and a prison sentence if you violate the terms of probation. restraining order up to ten years the same things apply as to the 52 week batterer treatment program and the terms of the probation. there are enhancements that are applicable to Felony cases such as having a conviction within 7 years, or being armed at the time or causing great bodily injury. great bodily injury adds 3 years to your term and could result in felony and then an enhancement if you are convicted agains within a certain amoun of time. If you have any further questions give us a call and we will continue with more blogs related to domestic violence.